We pray for Mickey Conway, Swatragh, Co Derry who died on November 29, 2018. May the Lord grant him eternal rest and console his wife Bernie and Family Michael, Kevin, Robert, Darren, Caroline, his niece Nuala Kelly (Kildysart) and all who loved him. We pray for Joan Denge (née Ginnane) who died on 25 November, 2018. May the Lord grant her mercy & console her husband Eric, her children Alleyah & Isha, her parents Jimmy & Margaret, her sister Bernie, her brothers John & Jim and all who loved her. Joan will repose at St Michael’s Church, Kildysart on Thursday from 5pm to 8pm. Burial will take place in Kildysart cemetery on Friday at 2pm. A months mind Mass will be offered for Joan in St Michael’s Church, Kildysart on Sunday, 23 December at 10.30am. We pray for Sr. Perpetua Corry (Mount Sackville Convent, Chapelizod and Glencannane, Kildysart), who died on on November 24, 2018. Sr Perpetua was predeceased by her parents John and Annie. May the Lord grant her eternal rest and console all who mourn her especially her loving Sisters of St. Joseph of Cluny in Mount Sackville, her loving sisters Fanny, Mary, Sister Catherine SMR and Sue, brother in law, Paddy O’Donnell, niece, nephews, family and friends. Mass of the Resurrection will be celebrated in Mount Sackville Chapel at 11.30am on Tuesday, (November 27), followed by burial in Convent Cemetery. We pray for Martin Connelly, Kildysart who died recently in London. May the Lord grant him eternal rest and console all who loved him. We pray for Kathleen Power (née McMahon) late of Raheen, Limerick and Canon Island, Kildysart who died on 9 November, 2018 in her 90th year. Kathleen was the beloved wife of the late Tom and dearest mother of Collette, Michael, Aidan & Thomas. She is deeply regretted by her family, her grandchildren Fionnuala and Peadar, great-grandchildren, nieces, nephews, relatives and friends. Kathleen will repose at Griffin’s Funeral Home, John’s Gate on Monday (Nov. 12th) from 5.30pm with removal at 7pm to St. Nessan’s Church, Raheen. Her Funeral Mass will be celebrated in St. Nessan’s Church on Tuesday (Nov. 13th) at 11.30am with afterwards in Kilnamona Cemetery. A months mind Mass for Bridie Green (née Miniter) will be celebrated in St Michael’s Church, Kildysart on Sunday, 9 December at 10.30am. The months mind Mass for Jan Stankiewicw will be celebrated in St Michael’s Church, Kildysart on Sunday, 21 October at 10.30am. We pray that the Lord will take Jan to himself and console his daughter Urazula, son in law Marek Brzozwski, Cahercon, his grangchildren, his wife and family in Poland and all who formed his circle of love and care. We pray for George O’Brien, Rosshill who died recently in London. A months mind Mass will be offered for George in St Michael’s Church, Kildysart on Sunday 16 September at 10.30 am. May the Lord grant George eternal rest and console all whommourn him. We pray for Frank Conway, Station Road, Ennis and formerly of Shannon and Kildysart who died on 29 August, 2018. May the Lord console his wife Mary, family, brother Des, sister Mary, grandchildren, nieces, nephews, relatives and many friends. Franks will repose at Kennedy’s Funeral Home, Ennis on Thursday evening from 4:30pm with removal at 6pm to the Cathedral of Saints Peter and Paul, Ennis. Kildysart who died in Florida, U.S.A. on 18 August, 2018. May the Lord console her husband Eamon, daughters Jackie, Sheena, Kathleen & Claire, son Patrick, son-in-law Frank, grandchildren Mathew, Sophie & Jamie, sisters Bridie Breheny & Ann Dudich, brothers-in-law, sisters-in-law, nieces, nephews and all who formed her circle of love and care. Teresa will respose on Tuesday (27 August) at Daly’s Mortuary Chapel, Francis St., Ennis from 5:30 o’clock with removal to St. Joseph’s Church at 7:30 o’clock. Her funeral Mass on will be celebrated on Wednesday at 11am followed by burial in Kildysart Cemetery. We pray for Kitty O’Sullivan, Lissycasey who died on 15 May, 2018 in her 92nd year. May the Lord grant her eternal rest and console her family Martin, Michael, Sean, Bridget, Kathleen, Teresa (Kildysart), Patricia, Noreen and Rita and all who formed her circle of love and care. We pray for Anna Connelly, Limerick and Kildysart who died on 2 May, 2018. We pray that the Lord may take Anna to himself and console her brother Martin, her sisters-in-law, family & friends. Anna will repose at Christ the King Church, Caherdavin, Limerick on Friday from 6pm to 7:30pm. Her funeral Mass will be celebrated on Saturday at 10am followed by burial in Kildysart Cemetery. We pray for Christopher Griffin late of Crovraghan, Kildysart and Bristol, England. We pray for Sarah Brennan (née Casey) late of Kings Road who died recently in Arizona, U.S.A.
We pray for Betty Murphy (née O’Connell) late of Cahercon & England. Betty’s funeral Mass will be celebrated on Friday at 11am followed by burial in Kildysart cemetery. May the Lord grand Betty eternal rest and console her daughters Geraldine and Carol, sons Brendan and Michael, grandchildren, great-grandchildren, sons-in-law, daughter-in-law, nieces, nephews, relatives and friendser family & all who mourn her. We pray for Patricia O’Brien, née O’Sullivan, Rosshill, Kildysart who died on 23 April, 2018. May the Lord grant Patricia eternal life and console her son Gerard, brothers Paddy and John, sisters-in-law, nieces, nephews, relatives and friends. Patricia will repose at St. Michael’s Church, Kildysart on Wednesday from 6pm until 8pm. Her funersl Mass will be celebrated on Thursday at 11am followed by burial in Kildysart cemetery. We pray for Margaret Kelly (née Clancy), Ballymacrinan, Killimer, mother of Johnny Kelly, Ballylean East who died on 8 March, 2018 and whose month’s mind Mass will be celebrated in St Imy’s Church, Killimer on Sunday, 8 April at 11am. May the Lord take Margaret to Himself and console her children, grandchildren, daughters-in-law, sons-in-law and all who formed part of her circle of love and care. We pray for Fiona Bergen (née Galvin) who died recently in England. 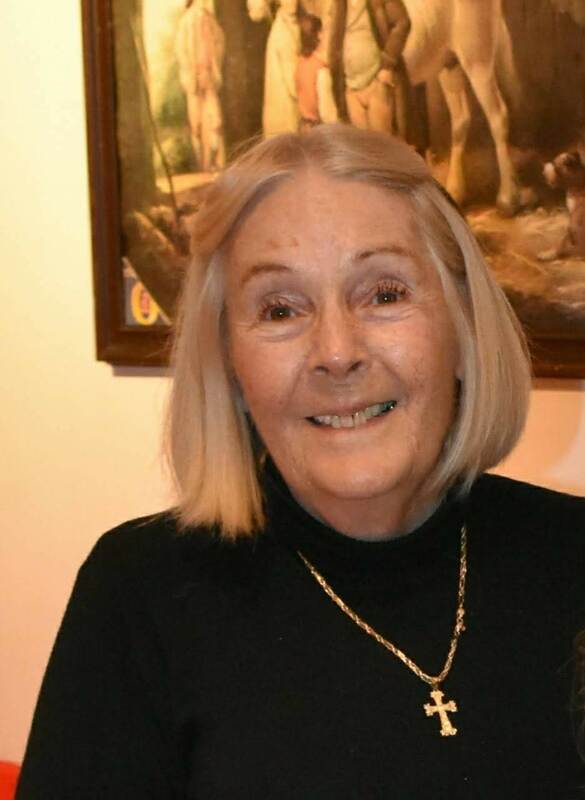 We pray for Susan Butler ( née Connelly) Kildysart, who died on 24th February, 2018 and whose funeral took place in Thurles, Co. Tipperary. We pray for Joe Slattery, late of Devizes, England and of Kildysart who died recently. Joe’s funeral will be celebrated on Thursday (1 March, 2018) and he will be laid to rest in Devizes, England. May the Lord welcome him into the home he has prepared for him in eternity and console all who mourn him. We pray for Mary Griffin née Coughlan, Ruan who died on 19 February. May the Lord grant Mary eternal rest and console her husband Kevin, sons Pat, Kevin and Gerard, daughters Helena, Orla and Mairead, sister Nancy Griffin (Crovraghan) and all who formed her circle of love and care. We pray for Eileen Sullivan who died recently in New York. Eileen’s ancestors came from Tonlegee and Ballylean and she lived in Kildysart for five years. May the Lord grant Eileen eternal rest and console all who mourn her passing. A months mind Mass will be offered for Eileen in St Michael’s Church, Kildysart on Friday, 26 January at 8pm. We pray for Seán O’Sullivan, Garryspillane House, Knocklong, Co. Limerick who died on 3 January 2018. May the Lord may welcome Seán into his true home in heaven and console his daughter Niamh O’Connor, (Kildysart) and all who mourn him. Posted on November 26, 2018, in Uncategorized. Bookmark the permalink. Comments Off on Rest in Peace 2018.